The aim of this unique volume is to help medical researchers design clinical trials to improve survival, remission duration, or time to recurrence of disease. 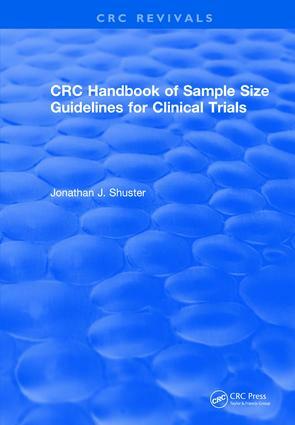 Written in a user-friendly step-by-step format, this work enables the researcher-with no background in statistics-to determine sample size and write statistical considerations for their protocols. It provides critical language which can help with FDA submissions and/or research grants. It also provides the mathematical justification of the material at a level consistent with one year of undergraduate mathematical statistics. It presents survival analysis methods at a more elementary level than any known text. Filled with tables, figures, plus an extensive appendix, this one-of-a-kind reference is an absolute must for all clinical researchers and biostatisticians.